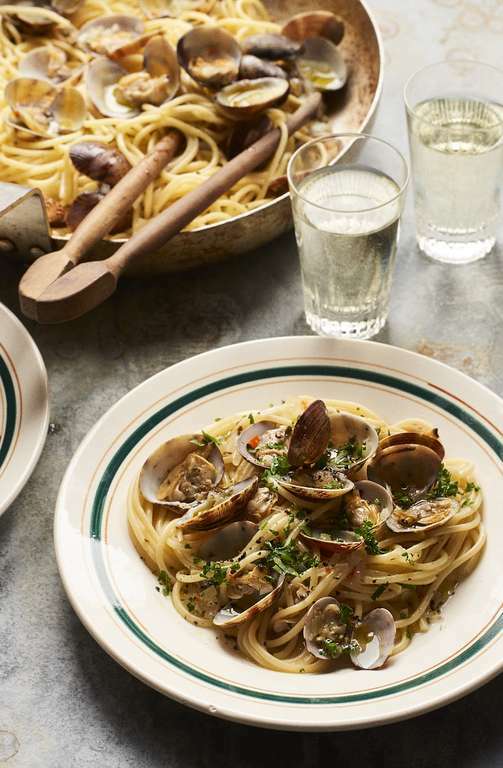 Enjoy this Spaghetti Vongole recipe with a twist - the addition of Kombu, a type of seaweed. 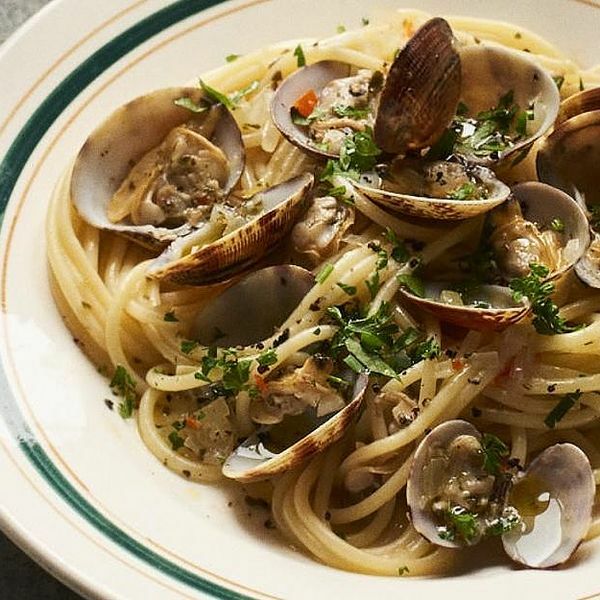 The salty notes of Kombu perfectly complement the fresh clams, white wine and parsley in this recipe. In the early days when I was experimenting with seaweed, this was one of the first dishes that I cooked. No swanks, but it went down as a memorable one. The subtle but salty notes of the Kombu add more depth to the juices – which arguably are the best bit. This is a dish that will sell seaweed to even the most cynical. Cook your pasta in a pan of salted boiling water for approximately 10 to 15 minutes. Drain and return to the pan with a few tablespoons of oil. Put to one side while you make the sauce. In a large heavy-bottomed pan heat the oil and sauté the onion until translucent and soft, then add the clams, garlic, Kombu and chilli and cook for 1 minute before turning up the heat and adding the wine. The clams should be open now. Pick out and discard any that don’t. Bring back to the boil, stirring gently, and add the spaghetti. Mix thoroughly and scatter on the parsley. Remember to mop up the juices with hunks of bread. NOTE: If you use Kombu when cooking pasta, it can draw out the natural saltiness, so less salt needs to be added overall.